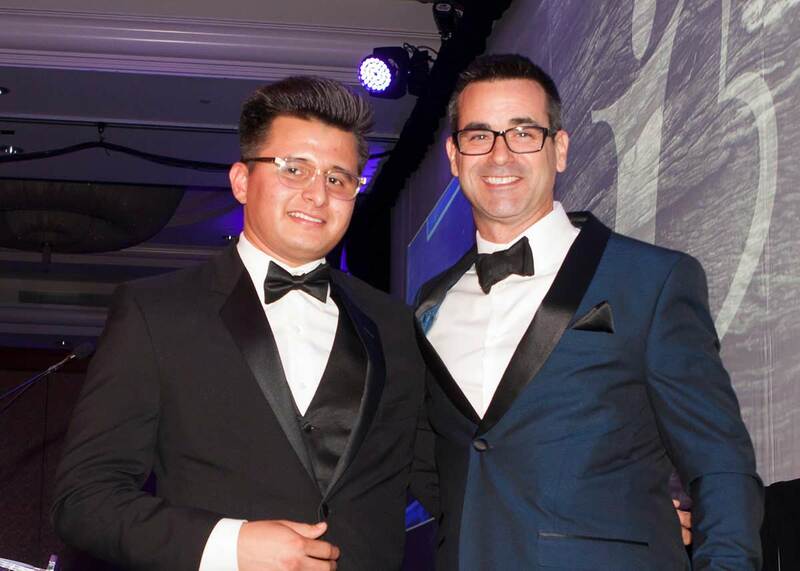 SANTA ANA, Calif. (Oct. 5, 2018) – Shattering agency records, the 54th Annual Gourmet Dinner benefitting Big Brothers Big Sisters of Orange County and the Inland Empire raised $2.9 million in support of the nonprofit’s one-to-one youth mentoring programs. More than 300 business and community leaders attended the black-tie fundraiser, which took place Thursday, Oct. 4 at Balboa Bay Resort in Newport Beach. 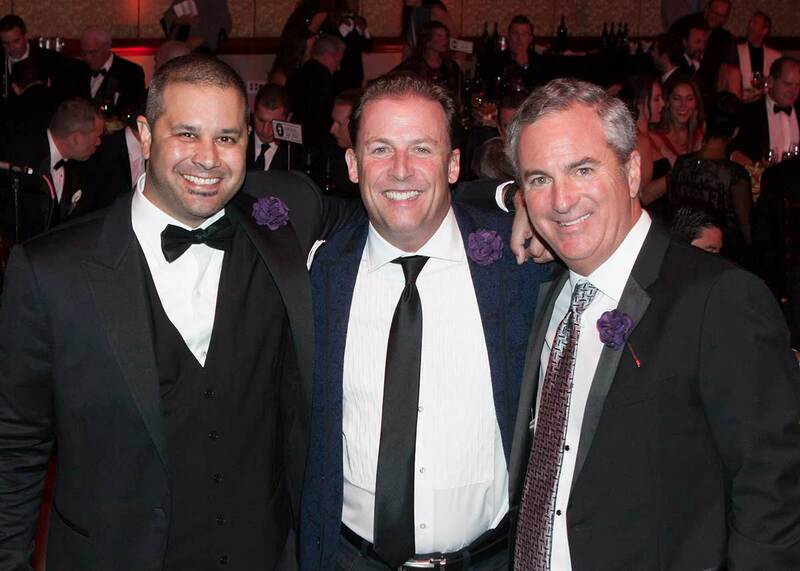 The 2018 Gourmet Dinner was co-chaired by Todd Pickup, Navin Narang and Carl Johnson. An event highlight included an unprecedented $1 million match during the fund-a-need appeal, donated by the co-founders of Auction.com, on behalf of all Joel K. Rubenstein honorees past, present and future. 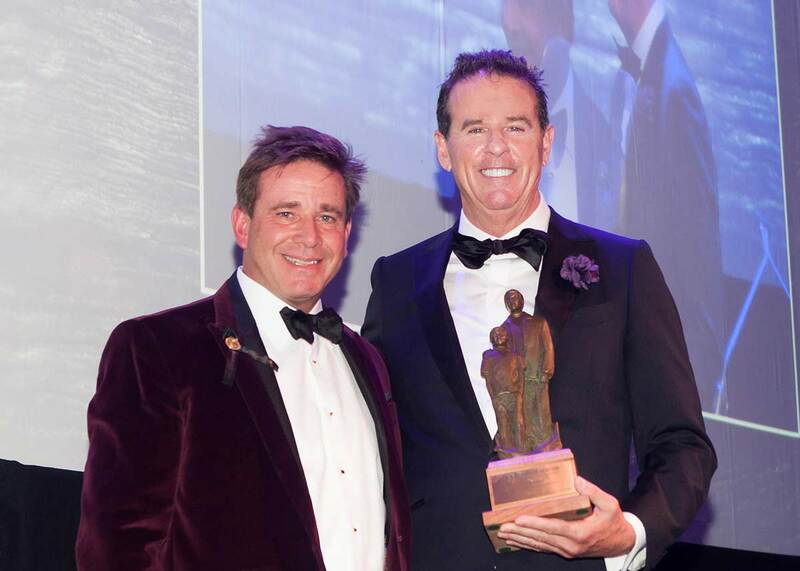 The Joel K. Rubenstein Award is the highest honor bestowed by the organization and was presented this year at Gourmet Dinner to Jeff Frieden, co-founder and executive chairman of Ten-X. The lifelong Orange County resident joins an elite group of 31 gentlemen recognized by Big Brothers Big Sisters since 1988. Several past honorees were in attendance this year, including Rudy Baldoni, Richard Bertea, Peter Desforges, Rob Friedman, Paul Fruchbom, Mike Helin, Paul Marx, Julian Movsesian, Charles Ruck, Henry Walker and Joseph Ueberroth. “The impact Jeff has made for Big Brothers Big Sisters over the last three decades is staggering,” said Sloane Keane, CEO of Big Brothers Big Sisters of Orange County and the Inland Empire. “He has changed futures for hundreds of youth here in our community—a passion incredibly close to his heart. Following a cocktail reception with Scotch tastings and hand-rolled cigars, guests were ushered into the grand ballroom for a presentation of colors by the Sunburst Youth Academy and national anthem sung by the All-American Boys Chorus. A three-course menu began with a wedge salad, followed by a duet of slow-braised short rib and jumbo prawns in garlic ginger sauce, and Tahitian vanilla cheesecake with raspberry dressing. Later in the program, volunteer Ian Farrell and his Little Brother Leo, 18, kicked off the fund-a-need appeal with a moving story of their four-year match. In high school, Leo’s stepfather became gravely ill shortly after his mother learned she was pregnant. Leo spent his senior year not only applying for colleges, studying and working, but taking care of an infant. After his stepfather died, Leo almost decided to remain at home to support his family instead of going to college. But thanks to Ian’s encouragement and unwavering support, he moved forward with his enrollment at the University of California, Santa Barbara, and has plans to graduate in three years from the physics program. “One thing I admire about Ian is that he always stands up for what he believes in. And when I needed it the most, he believed in me,” Leo told guests. The evening concluded with a fast-paced live auction with 11 incredible experiences, including a three-night private jet getaway to Mayacama Golf Club in Sonoma County and a private dinner for six with Anaheim Ducks captain Ryan Getzlaf. The 54th Annual Gourmet Dinner was underwritten by generous committee members, table hosts and sponsors: Todd Pickup, Navin Narang, Carl Johnson, Trace Chalmers, Steve Couig, Peter Desforges, Jeff Frieden, Rob Friedman, Blake Johnson, Guy Johnson, Julian Movsesian, Chris Reedy, Tom Reyes, Allen Schreiber, Joseph Ueberroth, W. Henry Walker, Paul Westhead, Sterling BMW (auto sponsor) and Darioush (wine sponsor).